Do you own a home weather station? Do you have an internet connection and/or a computer that’s usually on? Then you should be sending your data out to “the world”! The mesowest webpage has a google map background, so it’s easy to roam anywhere in the US. There are other ways to view the data on maps. I have a few on my webpage in the “Observations” section. 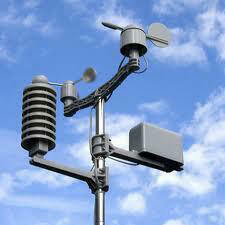 Why CWOP instead of some other online network of weather stations? Because this network feeds directly into MADIS which is the “master collection” of observations here in th USA. For example a TV station like KPTV can pull up most of those stations to use on-air. The other big network of weather stations (WeatherUnderground) does NOT do so. As a result the meteorological community does not have easy and automatic access to that data. If you only export to WxUnderground, please get a CWOP ID and export to that one as well. My home weather station software easily exports to both. Some newer weather stations/software don’t need a computer running either. WeatherLink IP (Davis Instruments) has recently been updated to allow exporting of rainfall and peak gust data, that’s one way to avoid running a computer. You are currently browsing the FOX 12 Weather Blog blog archives for the day Friday, May 17th, 2013.